As The Real Mary King’s Close marks its tenth anniversary year, it has even more reason to celebrate as VisitScotland awards the top Edinburgh attraction five stars for a tenth year running. 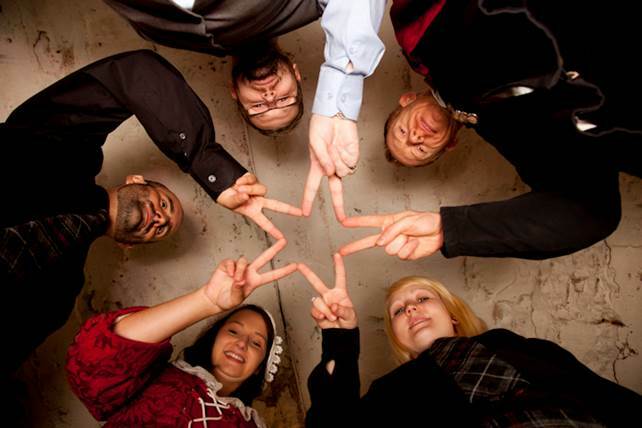 The award comes in the same year that the attraction celebrates its very own five stars, the one-time residents of The Real Mary King’s Close brought to life through character tour guides. The characters who include a foul clenger and Mary King’s daughter are the faces of the attraction’s latest ‘Imagine’ marketing campaign that has already helped generate more than 100,000 visitors since its launch in April this year. Since opening as a visitor attraction, it was always a key objective for The Real Mary King’s Close to become a World Class addition to the city’s cultural portfolio and within its first year of operation it secured VisitScotland‘s top award of five star status. In that time it has consistently retained its five star status and has attracted over 1.6 million visitors over the last decade. VisitScotland’s five star accreditation was awarded after a visit from its Quality Assurance team highlighted the recent major enhancements to the tour, the friendly welcome from staff and the quality of tour delivery as areas of particular excellence. This combined with the high quality visitor experience delivered across all areas of the business, has ensured The Real Mary King’s Close’s continued position alongside Edinburgh’s elite five star attractions including Edinburgh Castle, Camera Obscura and The Scotch Whisky Experience. This latest news comes as the attraction celebrates its tenth anniversary with special events including The Dark Truth Tour which featured for the first time in this year’s Edinburgh Festival Fringe programme. Celebrations will culminate with ‘Close Fest’ which launches on Halloween and promises to show off the attraction as never before.